To learn more visit our Services page. Q: What are Clinical Social Workers and what do Clinical Social Work Services include? A: All members of our clinical team are Licensed Clinical Social Workers in the state of Georgia. Clinical Social Workers are licensed to provide assessment, diagnosis, treatment planning, counseling, psychotherapy, intervention, and evaluation of treatment outcomes. Social Workers in Georgia are both licensed and governed by Georgia Board of Professional Counselors, Social Workers, and Marriage & Family Therapists. 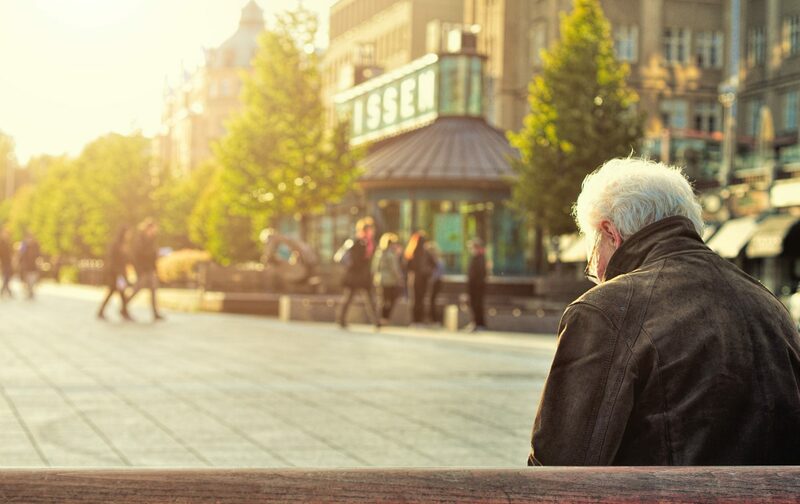 Clinical Social Work services for seniors could include coordination of care with the client’s other medical providers, counseling, psychotherapy, clinical assessment, diagnosis, treatment planning, intervention/treatment, and evaluation of treatment outcomes. Your specific services will be tailored to your specific needs. Q: How much do your services cost? Do you accept Medicare/Insurance? A: Mindful Transitions accepts Medicare and most private secondary insurances. Typically, Medicare and the secondary insurance pay for the majority of the costs of each session. Each session does, however, have a $40 House Call Fee to cover the cost of travel and other expenses associated with providing high-quality in-home clinical care (see more below). Prior to each new client appointment we attempt to clarify the total out of pocket cost there may be for our sessions. Q: Which private insurances do you accept? A: Mindful Transitions and our clinicians are participating providers with traditional Medicare and secondary/supplemental plans. We are not participating providers with any Private insurance plans (including Medicare Advantage Plans). Why not? Simply put, we would not be able to provide the kind of high level care, variety of services and individualized treatment that we do currently when working with a private insurance-based model. Q: Can I get reimbursed if I have private insurance? A: We can provide you with any paperwork necessary so that you can file a claim into your insurance company. The insurance company will reimburse you directly. The amount of reimbursement is completely dependent on your insurance plan. If you call your insurance company to inquire, you should ask about reimbursement for “out-of-network, mental health service” expenses. Q: Do you charge for coming to me? Family/patient/facility education regarding behavioral health and necessary support services for seniors. Q: How do I know who is going to see me? Which Clinician will I see? A: Mindful Transitions has clinicians covering most of the Metro Atlanta area and specializing in a variety of issues. Depending on your location and current situation a clinician will be assigned to begin services with you. Our clinicians have also posted their biographies, which can be reviewed at the “Meet Our Team” link below. Q: How do I know if you can help me/my mom/my dad? What issues do you work with? A: The clinical team has a variety of special skills and training. We typically see clients for issues related to the transitions of aging. For example, some of our clients begin services due to excessive worry, depressed mood, low energy, increased pain levels, tearfulness, grief and loss, irritability, struggles with a recent move, transition, or life change, adjustment to new medications, new medical diagnosis, or living situation. Please feel free to call with any specific questions about your individual situation. We’re always glad to speak with you to see if we may be able to help. Q: I’m the Power of Attorney (POA) for my mother/father and I usually sign all of his/her paperwork. Can I sign my mother/father up for services with Mindful Transitions? A: The client must sign his/her own consents for treatment either prior to starting services or at the first session. We will be glad to keep a copy of the POA or any Healthcare Advanced Directives (Living Will, Power of Attorney for Healthcare, POLST, etc) on file for reference but those documents generally do not allow an agent the power to sign mental health consents for treatment. If a POA signs on behalf of your parent, we will still need to get your parent to sign himself/herself as well. Q: What parts of town do you cover? Which buildings do you cover? A: Right now we see clients in and around metro Atlanta. The most up to date coverage map is shown on “Our Service Area” page but we can always answer questions about specific locations if you call or email us through our “Contact Us” page. Both of these links can be found below. We’re always growing our coverage area so check the map for the most up to date service area. Q: How soon can I see someone? A: Typically, we can see a new client within two weeks. Many of our clinicians see clients on the weekends during both day and evening hours. Prior to the first session we will verify that we have a clinician available to see you in the area where you currently reside. We will also need to verify your insurance benefits/coverage and determine if there are any out of pocket costs to you before we come out. If your needs are urgent please contact us to discuss your situation and we’ll do our best to see you as soon as possible. A: No. Because we fall under the specialty of Mental Health a doctor’s order is not required to start services. We will gladly coordinate with your physician (if you give written permission) upon starting services. Q: Who can refer a client? How do I refer a client/resident for your services? A: Anyone can refer a client to our services. For us to be able to begin services the client must be agreeable to having us in his/her home for services and willing and able to consent for services. Care Providers (MDs, NPs, Home Health, Home Care, Service Coordinators, etc) can utilize our referral form to make a referral. Simply complete the form as fully as possible and fax in to our office and we’ll handle the rest. A link to our referral form can be found below. Communities can also utilize our referral form to make a referral. Also, many clients like the idea of reaching out to us directly. Communities are always welcome to pass along our contact information or our information sheet so clients can call us directly. Please note: because our services fall under the mental health specialty a physician’s order is not required for us to begin services or see your resident. A link to our referral form can be found below. Families can also contact us about seeing a loved one. We’ll be glad to learn more about your situation and help you cultivate an approach that may encourage your loved one to engage our services. Q: Can I come to your office? Where are you located? A: Mindful Transitions clinicians are mobile to our clients so our office is wherever the client is located. We have administrative office space only and clients are not seen at the administrative office. Please feel free to check our coverage map to see if we can come to you! Q: How do I get started? What do I need to do to get services started for my mom/dad? A: First, please call our office or send a request through the website (please see below for link to our “Contact Us” page). Someone will respond to you as soon as possible. We will then verify that we have a clinician available to see you in the area where you currently reside. We will also need to verify your insurance benefits/coverage and determine the out of pocket costs. To do so we will need the potential client’s: correct spelling of first and last name, date of birth, copies of insurance card and/or all numbers off of the front and back of the insurance cards. We also require each of our clients to put a credit card or debit card on file, so we will need to collect credit card information before we can begin services. Your credit/debit card will be used to pay your account balances such as the House Call Fee, Copays, deductibles, coinsurance, Missed Appointment Fees, and Late Cancellation Fees. This process normally takes 1-2 business days, and then a clinician will contact you to set up a first session on a date that fits your calendar. This process can often be expedited for urgent issues, so please let us know if your situation needs special attention. Want to stay in touch with Mindful Transitions? Just subscribe to our monthly e-newsletter.